Many people spend a great deal of time mentally operating in an subconscious state of trance. In this state, emotions are experienced as things that happen to us. Our minds are often filled with chatter and distraction and our bodies are regularly filled with subtle sensations and at other times not so subtle physical symptoms. Much of our experiences can feel uncomfortable and beyond our control. Our thoughts, especially the things we say to ourselves, can be powerful tools in gaining insight and control of our experiences. The following is a list of guidelines for working with your inner self-talk. Please use this list daily to begin the process of creating a new internal dialogue. Be gentle and patient with yourself. Recognize that many of your thinking patterns have been there for years and may take some time to change. Pay attention to your feelings. The relationship between your thoughts and feelings offer valuable insight to the mind-body connection and provide a great opportunity for emotional growth. Watch out for danger words. The word “should” is an example. There are many words which significantly shape our thoughts and feelings. Training in cognitive-behavioral techniques and Neuro-lingustic Programming (NLP) can help you discover which ones are most powerful for you. Notice patterns that lead to anxiety and depression, patterns that are overly critical and discouraging and fear inducing are particularly problematic. Practice relaxation and mediation. A number of specialized techniques can assist you in slowing down and managing your thoughts. In addition, they are great for general health, stress reduction, and well-being. Become aware of the questions you ask yourself. Our questions often direct attention and consciousness. “What awful things might happen next?” and “What great things am I capable of?” are very different questions. Notice how each make you feel. Keep a journal. A written record can help clarify your thoughts and begin the process of awakening you from your trance. It is also a great way to keep track of your progress over time. 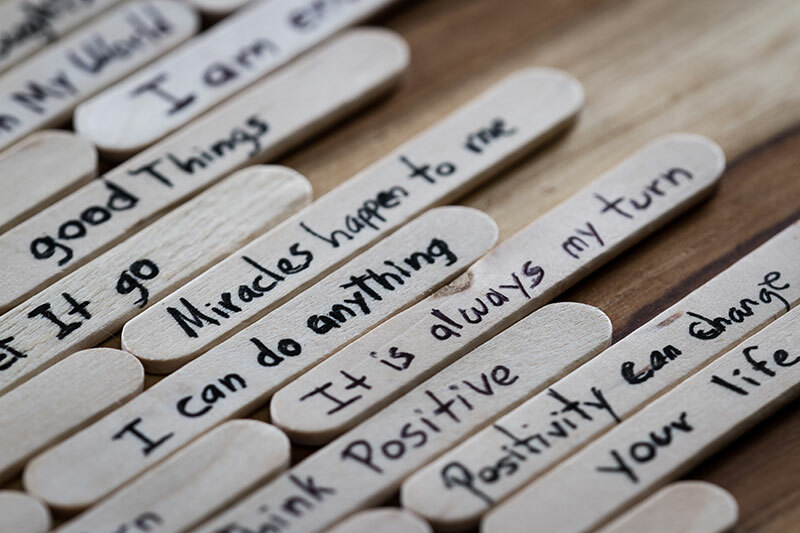 Develop daily affirmations. With regular practice, encouraging and resourceful self-talk can be a part of your ongoing influence to allow yourself to grow. Make friends with your mind. Realize that whatever your thoughts are and wherever they have been, they represent a history of attempts to take care and protect you. Remember, when you feel safe enough and strong enough, there is nothing in your mind that can’t stretch and change. Maintain an attitude of curiosity and learning. This will assist you in making the most of your new knowledge and empower you for further growth. Practice an attitude of gratitude and appreciation. This tends to soften you to the greater connectedness we have with others in the world.